Alan D. Halperin has been practicing bankruptcy and insolvency law since 1990. Prior to founding Halperin Battaglia Benzija, LLP, Mr. Halperin spent six and one-half years as an associate attorney in the bankruptcy and restructuring department of Stroock & Stroock & Lavan, a law firm with a national reputation in the insolvency field, and was a name partner in Pick & Halperin, LLP, a well-regarded bankruptcy boutique. Mr. Halperin has represented debtors, creditors of all types and creditors’ committees in numerous jurisdictions around the nation. He has represented official and unofficial creditors’ committees in chapter 11 cases and out-of-court restructurings of companies as varied as Tender Loving Care Healthcare Services, Inc., Lionel, Maidenform Worldwide, Dana Corp., Fabrikant, Harry London Candies, RMM Record & Video, R.F. Cunningham, Arenzano Trading Co. and Homemaker Industries. Mr. Halperin has also represented secured and unsecured creditors in other significant cases, such as Whitehall, St.Vincents Hospital, Sybra, and FoxMeyer, and serves as the Liquidation Trustee of Fedders and York Research Corp. He has represented Debtors such as Brunschwig & Fils, Everything But Water, Aztec Metal Maintenance, Realigent, and U.S. Wireless Data. While with Stroock & Stroock & Lavan, Mr. Halperin spent a considerable amount of time representing, among others, the creditors’ committee for Orion Pictures Corp, the debtor JWP, Inc. and the chapter 11 trustee of Laribee Wire Manufacturing. He also served as an expert witness on bankruptcy law. Mr. Halperin’s broad based experience enables him to provide his clients with the sound counsel they require to safely navigate the bankruptcy process. His expertise includes not only nuts-and-bolts bankruptcy practice, but also strategic planning and formulation of exit strategies. Mr. Halperin counsels financially troubled companies with respect to strategic planning, risks, alternatives and other issues they face both in and out of court. Mr. Halperin also advises committees of creditors as to how to plan for and navigate the workout bankruptcy processes, and helps them to actively and aggressively protect their rights. He regularly provides individual clients with advice on how to structure their transactions with financially troubled companies, and assists in the negotiation and documentation of agreements with both bankrupt and troubled companies. 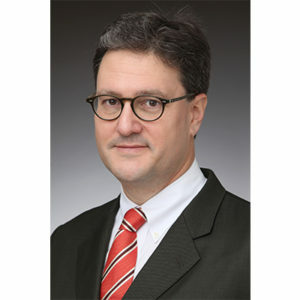 Mr. Halperin is a graduate of Brandeis University (1987) and Fordham Law School (1990), and was a Dean’s List student and a member of the Urban Law Journal at Fordham. He was a student intern with former Chief Bankruptcy Judge Tina L. Brozman (S.D.N.Y.) and former Bankruptcy Judge Marvin A. Holland (E.D.N.Y.). Mr. Halperin is a member of the bars of both New York and New Jersey, and is admitted to practice before various federal and bankruptcy bars situated in those states. He is a member of the American Bankruptcy Institute, and has lectured on a variety of bankruptcy and related state law topics. Mr. Halperin was included in Law360’s list of 10 most Admired Bankruptcy Attorneys released in September 2010. He was named as one of the country’s Outstanding Young Restructuring Lawyers in 2007 by Turnarounds & Workouts, and was included in Chambers USA list of recommended US bankruptcy lawyers for 2009 through 2016.